Did you know that the human brain is composed of approximately 100 billion neurons? Until recently we thought that the brain is fully developed (and therefore unchangeable) by the end of childhood and once you became an adult it was pretty much downhill for the brain. 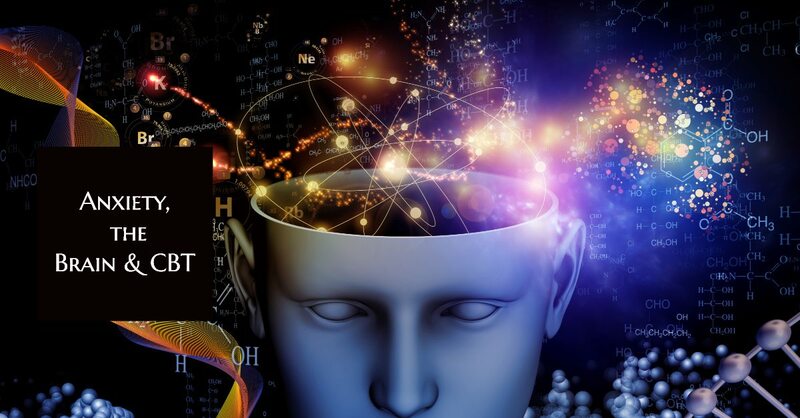 In the past few years though there has been a huge amount of brain research that shows that the brain actually possesses a remarkable capacity to reorganize pathways, create new connections and, in some cases, even create new neurons. We now know our brains are not fixed, they have neuroplasticity. What does this mean? Basically we can change the way we think about things to change our brain to be happier! You may say that is all very well and good but why would I want to change my brain? The reason I am really interested in all this brain research is that most people who come to see me come because they are fed up of feeling worried, anxious and/or sad. By changing the way we evaluate things and react to them can change these negative pathways the anxious part of our brain has got so used to traveling down. We have all been on automatic pilot when doing something e.g. we drive to a place without thinking how we got there. When our brain is disengaged brain change is switched off. However, when our brain is alert and engaged in an activity our brain’s plasticity switches are turned “on” because chemical neurotransmitters are released and we are then ready to facilitate change. Is Your Brain Wired To Feel Anxious? Because of life experiences and genetics some brains are more anxious than others. When we think of doing something that causes us some anxiety our brain tells us “run away, don’t do it!”. Our body listens to the brain and produces adrenaline and amongst other physical sensations our heart beats faster, our hands get sweaty and our breathing gets shallow and this reinforces the idea that we “SHOULDN’T DO IT!” so we avoid that situation. 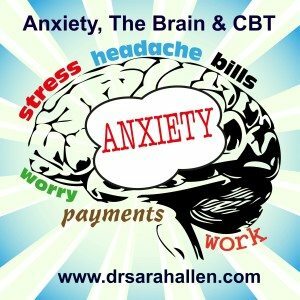 So How Do I Change This Anxiety Pathway In My Brain? Brain change is a result of learning, our experiences and memory. Basically, by learning new ways to think and deal with anxious or sad feelings we can develop different connections in our brain. If we feel the fear and do it anyway this teaches our brain to develop a memory that actually doing this scary thing was manageable, nobody died and it really wasn’t nearly as bad as you thought it would be. We then feel more confident when that situation comes up again our brain says “Yeah, I can do that, it’s manageable”. The more times we do it the less scary it gets because our brain lays down each memory and makes a more positive pathway between our emotions and that type of event. For example: Jane hates making phone calls (many people do). She thinks about it making that call and her heart beats faster, her fear rises and she gets someone else to call for her. According to Canadian scientist Donald Hebb, “Neurons that fire together, wire together.” If your thoughts focus on worrying and self-criticism, you’ll develop neural structures of anxiety and a negative sense of self. The really important thing to remember is that to build new pathways in the brain you have to be alert and focused on what you are thinking and doing and to be most effective you need to try new things as the brain grows best when info is novel. When we are doing something that scares us, our brain pays better attention to what is going on. New habits = brain change. Scary new habits = quicker brain change. Start small though rather then choosing to tackle something that causes you a lot of anxiety. You need to increase your confidence. I suggest you think of a hierarchy of anxiety-provoking situations then start with the one that is just a little bit out of your comfort zone. Can Cognitive Behavior Therapy & Brain Science Work Together? Yes! cognitive behavioral therapy (CBT) and the new brain research really complement each other. I ask clients to recognize when they feel a negative emotion such as anxiety, anger or sadness and “catch” the thought that they are having. These thoughts tend to be automatic and negative and because we are beating up on ourselves without even realizing it, they elicit a negative emotion. Who wouldn’t feel bad if they are telling themselves they can’t do something or they are bad in some way. We then really focus on what you are thinking and challenge those thoughts so you can change your behavior and find out that the situation isn’t as bad as you are thinking it is. By thinking and doing things differently, especially things that are out of your comfort zone, you build new pathways in the brain. So What Is Cognitive Therapy? Once you catch the negative thought you can learn a new way of thinking about it. Mind-Reading – believing that we know what others are thinking or thinking they should know how we feel. Often we assume that they are thinking the worst of us. However, we can’t mind-read so need to communicate with people. Overestimating – we believe that something that is unlikely to occur is actually about to happen e.g. “I will faint” “I’ll go crazy” “I’m dying”. Remember – Just thinking something doesn’t mean it’s true or that it will happen. • Am I falling into a thinking trap (for example, catastrophizing or mind-reading)? • What is the evidence that this thought is true? What is the evidence that this thought is not true? • What would I tell a friend if he or she had that thought? • Am I confusing a “possibility” with a “probability,”? It may be possible, but is it likely? • Am I 100% sure that _______ will happen? • How many times has _______ happened before? • Is really so important that my future depends on it? • And my all-time favorite – What is the worst that could happen? 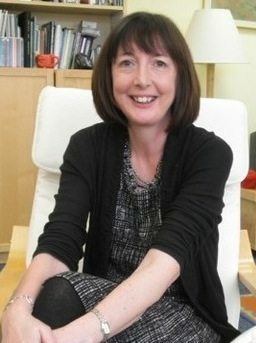 I have been using CBT techniques for twenty years and they work! What I find totally fascinating though is that we can look at the recent brain studies about neuroplasticity and now understand the reasons behind why it works. 1. Being alert and focused when you try to do new things can change your brain. 2. Doing scary things retrains your brain to realize that that doing something anxiety-provoking is associated with Taking Action not Avoidance. 3. CBT strategies help you do new behaviors that cause brain change. You become confident rather than worried. Harnessing this power is an effective way to achieve brain change and reduce negative emotions. 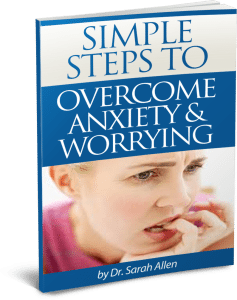 So you can read more about reducing anxiety and CBT, I put together a booklet with some strategies I am always giving to my clients to help them begin to feel less anxiety and to worry less. If after reading the booklet you feel ready to start working on reducing your anxiety but need support, I can help you overcome worrying in one-on-one individual CBT counseling sessions. Learning a variety of relaxation and breathing strategies which can help you reduce your overall levels of stress and help you face anxiety-provoking situations. Learning how to distinguish between worries that require your attention and worries that are unnecessary. Learning skills to manage anxious thoughts and to tackle fears that may have been holding you back.While all your worries won’t disappear, you will be given strategies to manage them better and tools to reduce the impact they have on your life.